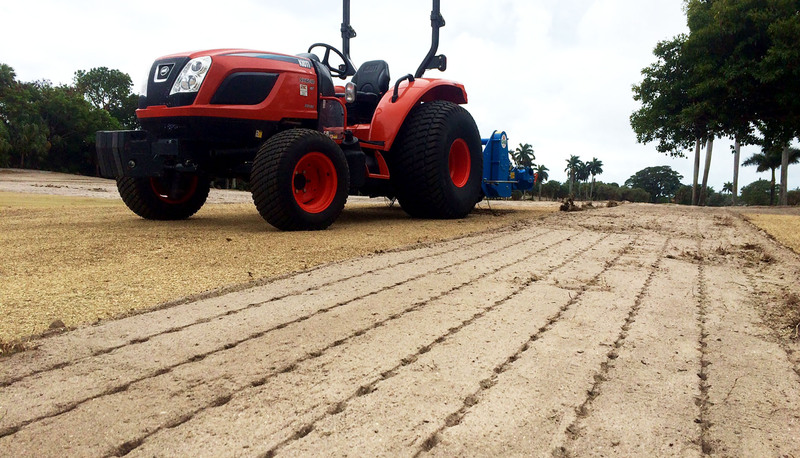 The creation of the perfect natural grass sports pitch or a unique golf course begins with the appropriate foundations. A homogeneous upper layer can provide the correct starting point for a great grass pitch. Do you encounter areas of your upper layer filled with stones? As a result, does your grass not grow optimally, which results in a low grass density? The Stoneburier provides you with the solution. 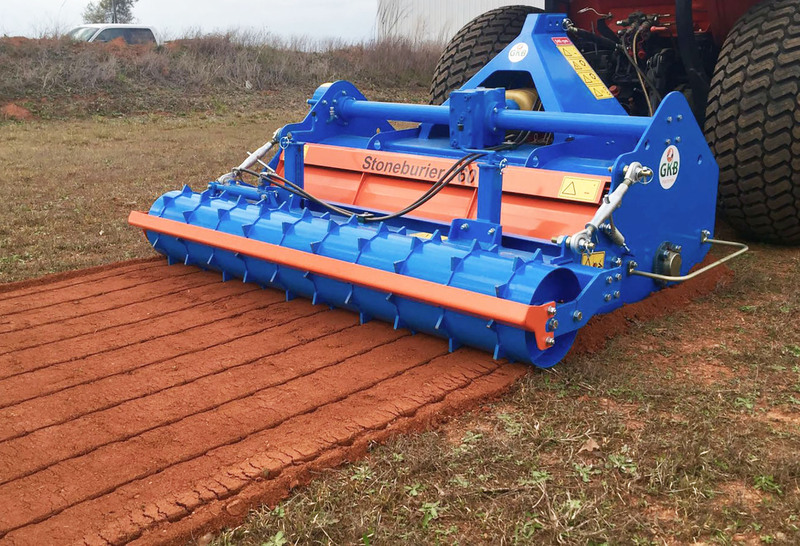 The Stoneburier is a premium rotary tiller, in which the strainer behind the rotary tiller ensures that the stones get separated from the finely crumbled ground. 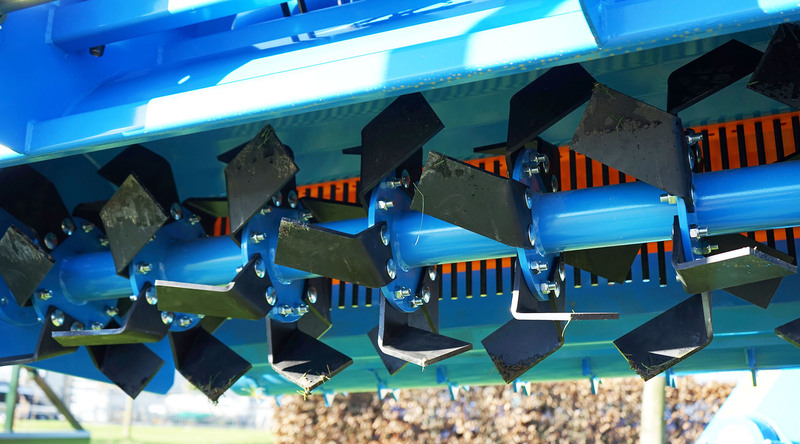 It is possible to equip the rotary tiller with two different types of tilling blades. 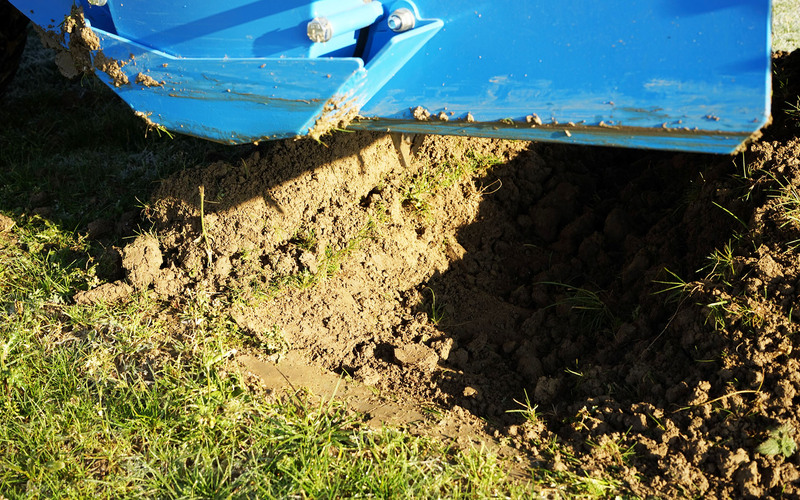 As a result of this operation the stones will be put under the layer of fine, vital soil. The maximum operating depth is 17 cm. The operating depth is simply adjusted by using two spindles on both sides of the machine. The rear roller presses the milled material and you can fill this roller with water when you want to press the soil more firmly. Optionally the roller can be hydraulically adjusted so you can seamlessly follow your previous operation. 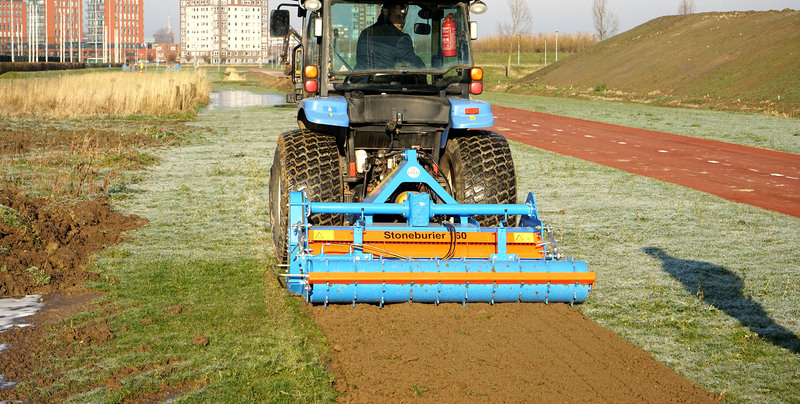 The GKB Stoneburier is essential for the creation of a perfect seeding bed! More information about the Stoneburier!